The Witch's broom is one of the few tools that is viewed as a balance of Divine forces and was an important fixture in ancient homes throughout Europe. 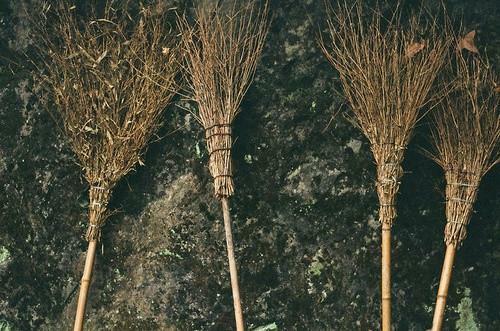 The broom, or "Besom" is used for sweeping away negative energies as well as for protection. In this hands-on workshop, April will guide you through the history of the Witch's broom, its uses in magical rights, as well as for its protective qualities. Each participant will decorate their own cinnamon witches broom to take home.